The Women Playwrights’ Initiative at the Ivoryton Playhouse develops new one-act plays by and about women, and the issues that shape their lives. Friendship, political and economic advocacy, sexual satisfaction, aging, gender equality, racial issues, marriage, singlehood, motherhood, careers, and power. The Initiative provides a safe, nurturing environment for play development, including a week of intensive rehearsal with the playwrights, directors, and actors. The workshopping week culminates in a staged reading festival, featuring interactive talkbacks with the playwrights, directors, actors, and audiences. Actresses Jennifer Roberts and Stephanie Genito talk about the experience of being in a show that hits close to home. Don’t miss A Chorus Line, now playing at Ivoryton Playhouse. “These characters are based on real-life people. 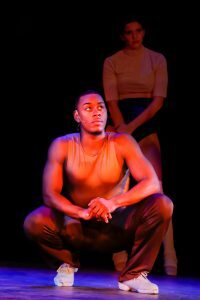 It’s an honor to be able to share their stories and explain to an audience what it’s like to go up in front of a casting director and put yourself out there.” A Chorus Line is the story of 17 dancers competing for spots in the chorus line of a Broadway show. As the audition progresses, the audience learns about each dancer’s past and what led them to the path they’ve chosen. Winner of 10 Tony Awards® and one of the longest-running shows in Broadway history, A Chorus Line is a timeless theater classic that resonates with audiences from all walks of life. Catch it live at Ivoryton Playhouse through September 2. Ivoryton – Opening on August 8th at the Ivoryton Playhouse, the Tony Award and Pulitzer Prize-winning singular sensation, A CHORUS LINE! 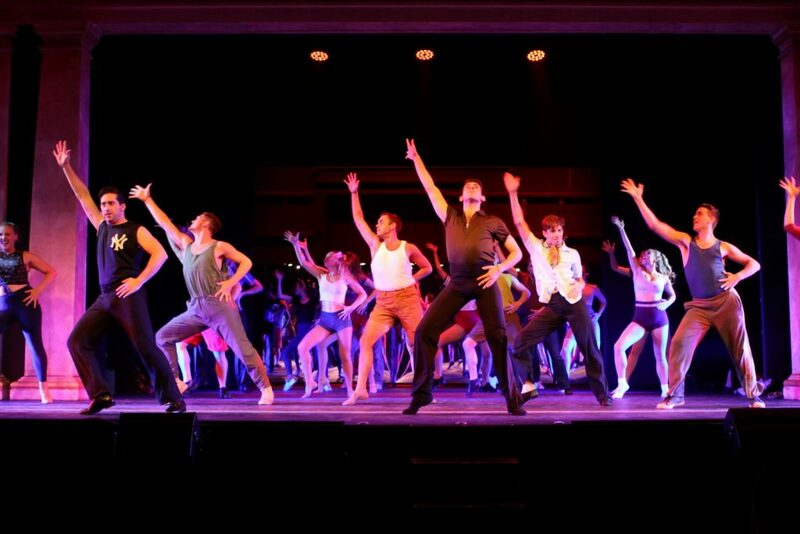 Casting for a new Broadway musical is almost complete, and for 17 dancers, this audition is the chance of a lifetime and what they’ve worked their whole lives for. A CHORUS LINE brilliantly evokes both the glamour and grind of showbiz, and is the musical for everyone who’s ever had a dream and put it all on the line. The iconic score features such classics as “What I Did for Love,” “One,” “I Hope I Get It” and more! With its celebration and true-to-life depiction of performers and their struggle to achieve greatness on the Broadway stage, A CHORUS LINE has earned unanimous praise as one of the true masterpieces of live theater. Penned by legendary composer, Marvin Hamlisch, A CHORUS LINE opened at the Shubert Theatre on Broadway July 25, 1975, directed and choreographed by Michael Bennett. An unprecedented box office and critical hit, the musical received 12 Tony Award nominations and won nine, in addition to the 1976 Pulitzer Prize for Drama. A CHORUS LINE opens at the Ivoryton Playhouse on August 8th and runs through September 2nd, 2018. Performance times are Wednesday and Sunday matinees at 2pm. Evening performances are Wednesday and Thursday at 7:30pm, Friday and Saturday at 8pm. Additional matinee performances are on Saturday, August 18th and Saturday, September 1st. Group rates are available by calling the box office for information.